The number of mobile devices used in the business world has expanded at an exponential rate over the past decade, and this trend is expected to continue. 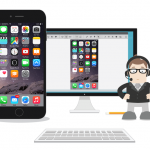 Many companies now state that mobility support is a top priority in their overall IT strategy. Remote Access Support is the way to get fast on the go IT support services. With a proper IT services contract from ACEIT, we can be logged into your server(s), desktop(s) or mobile device(s) in a matter of seconds. 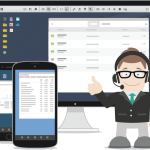 An Integrated Help Desk, KnowledgeBase, Screensharing and LiveChat. Connect to our help desk 24 hours a day, 7 days a week, 365 days a year. 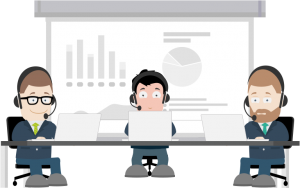 We live in a real-time technology world, so all our staff are always connected whether, its telephone, mobile phone, email, a support ticketor even LiveChat. One way or an other we will connect with you to assist you in the fastest possible timeframe.